In my last update I expected that the market would form a bottom between 1250 and 1270 and then rally to 1300-40. 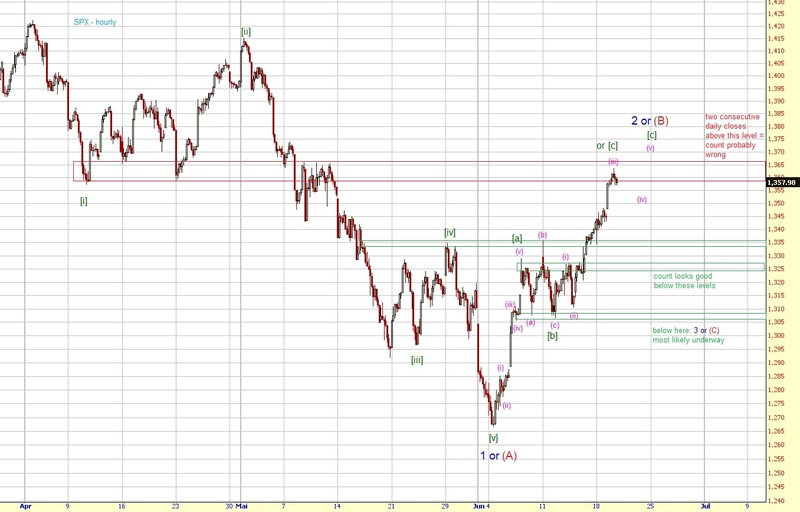 On June 6th I turned bullish and raised my target to 1330-65. Yesterday, the SPX hit the higher end of my target area (1363) thus I think it's time to have a look at the different scenarios again. 1360-65 should be an important level. 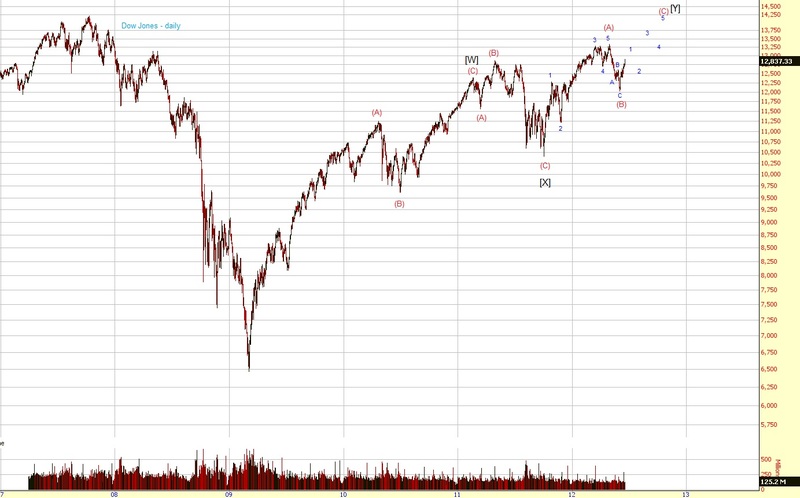 If 1326 and 1335 are breached, the next wave towards 1200 is most likely underway. Should we get two consecutive daily closes above 1365ish, this count is most likely wrong. 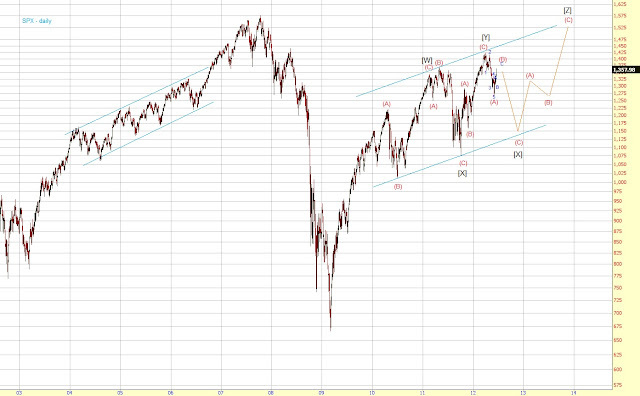 What if 1360-65 is breached? If this level is broken, I expect a rally back to the highs and most likely even higher. This count is invalid below 12550 / 1326 (SPX).